CMC Ludhiana 2018 MBBS / BDS Admission will be on the basis of NEET entrance exam. Marks and rank secured in National Eligibility and Entrance Test (NEET UG) held by CBSE will be considered for merit to get admission in Christian Medical College (CMC) Ludhiana. The admission to CMC Ludhiana 2018 MBBS is coordinated by Baba Farid University of Health Sciences, which is the state counselling authority. All NEET qualified candidates including open general, Christian minority with a service commitment, SC, ST, BC, and NRI will have to apply to BFUHS. You will get more details of that at Punjab MBBS / BDS Admission 2018-2019. Christian minority candidates with service commitment must, in addition to above, send a copy of submitted application of BFUHS to the Registrar, CMC Ludhiana with Church Membership Certificate, Baptism Certificate, Affidavit of Service, Letter of Service Commitment and details of their domicile. They must also fill and submit CMC Ludhiana 2018 MBBS Admission Application Form and pass Bible Test. Date for Bible Test have been announced by CMC Ludhiana. NRI candidates will submit a copy of BFUHS application to CMC Ludhiana along with proof of NRI and eligibility certificate. 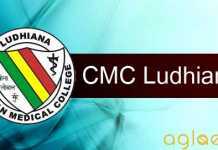 Candidates interested in CMC Ludhiana 2018 MBBS Admission must check cmcludhiana.in and BFUHS website regularly. 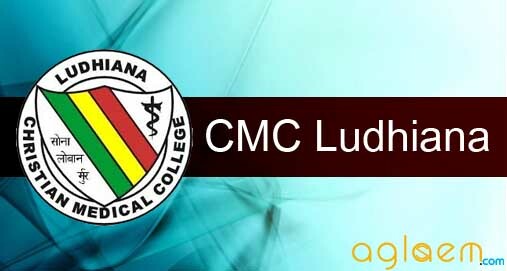 Latest: Application form for CMC Ludhiana 2018 for MBBS/ BDS Admission have been started. Candidates can apply from the direct link provided below. In addition, the ‘Christian Minority candidates with Service Commitment’ are further advised to send a copy of their submitted application of Baba Farid University of Health Sciences, to the Registrar, CMC Ludhiana along with their Church Membership Certificate, Baptism Certificate, Affidavit of Service (format available in Information Bulletin), Letter of Service Commitment (to be obtained from the Church/Body with which the candidate is signing to serve with) and details of their domicile. Such candidates are also required to apply online to CMC Ludhiana and will be required to pass the Bible Test. Date for the Bible Test will be announced shortly. Important dates of the CMC Ludhiana 2018 MBBS / BDS Admission is given below. Christian Minority Candidates with Service Commitment must, in addition to applying to Baba Fardi University of Health Sciences, apply to CMC Ludhiana 2018 Admission. Click Here to download the application form for Category 2G. Click Here to download the application form for Bible Test. Note: Take a print out of the completed form and send the same along with enclosures to ‘The Registrar’, Christian Medical College Ludhiana-141008, Punjab; latest by June 20, 2018. Candidates who pass the Bible Test will be eligible for the ‘Christian Minority with Service Commitment Category’. Such candidates will be required to report to Baba Farid University of Health Sciences for physical verification on June 26, 2018, as per schedule in the prospectus of Baba Farid University of Health Sciences. Attach the Demand draft for Rs.2000/-, ‘in favour of ‘Christian Medical College Ludhiana Society’, payable at Ludhiana. CMC Ludhiana has insofar not released eligibility criteria. Based on last year details, expected eligibility criteria is given below. Applicants for UG ADMISSIONS 2018 should have completed age of 17 years at the time of admission or will complete the age on or before 31st December year of admission, the year of his / her admission to the 1st year. Applicants must be citizens of India for UG ADMISSIONS 2018. Persons of Indian Origin with Citizenship of other countries may apply, as per Govt. of India rules, or under the NRI category for which a separate prospectus is available. No other foreign national will be admitted. A candidate for admission to MBBS and BDS must have passed in the subjects Physics, Chemistry, Biology/Biotechnology and English individually and must have obtained a minimum of 50% marks taken together (40% for SC/BC) in Physics, Chemistry and Biology/Biotechnology at the qualifying examination (10+2 examination). In addition all candidates should have qualified in NEET (UG) 2018. Candidates are required to go through the prospectus of Baba Farid University of Health Sciences for General eligibility criteria for admission to MBBS and BDS courses. NRI Candidates: are to apply to BFUHS intimating the choice of college. Those interested in joining CMC Ludhiana, having qualified in NEET (UG) 2018 are advised to send a copy of their submitted BFUHS application form to the Registrar, CMC Ludhiana. Hall Ticket will be available to all the applicants, whose application form has been submitted by the last dates irrespective of eligibility. Such candidates will be eligible to sit for the Admission Test at the center as given in the Hall Ticket. The Hall Ticket can be collected from the Office of the Registrar, Christian Medical College Ludhiana on June 25, 2018 from 09:00 AM onwards. CMC Ludhiana has insofar not released seat matrix. Based on last year details, expected seat matrix is given below. G – Service Commitment with CMC Ludhiana & Its Outreach Centers. Candidates applying in the 2G category should have their forms endorsed by the Director, Christian Medical College Ludhiana, as per details given on page 60. Each of these Categories will have separate Merit Lists. For more details of CMC Ludhiana 2018 – Download Information Brochure. If you have any queries regarding CMC Ludhiana MBBS Admission 2017, please ask in comments below.